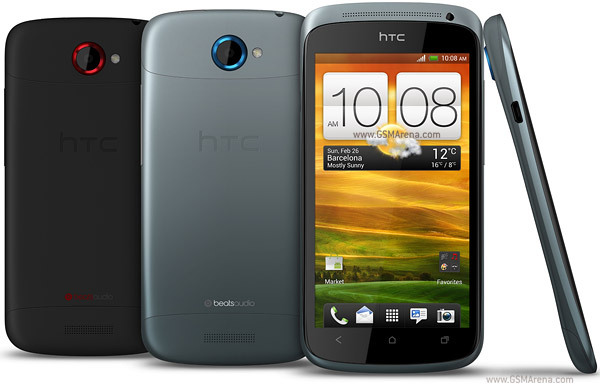 Being one of the thinnest Ice Cream Sandwich phones from HTC, this one is also available as HTC One S Special Edition coming in white, with 64 GB of internal storage. The typical One S we know, though, is a grey and black device with only 16 GB memory. However, this smartphone is highly appreciated for being entirely made of metal, having a cool design and featuring an 8 MP camera. If playing with this HTC, you started to be bothered by a few lags and hangs, this article is here to help you. Starting with some of the more relevant characteristics of the device and continuing with clear instructions on how to deal with each type of problem, the coming paragraphs will help you better understand your phone. First of all, you should understand that there are two options whenever dealing with an unresponsive phone – the first one is a soft reset while the second one involves hard resetting the HTC One S.
In both cases, you should make sure that you’ve done everything you could to bring the phone back to a functional state. In order to know how you could do this, here is a little more information about this HTC. Announced in February 2012, it entered the mobile phones’ market in April that year. It is equipped with a super AMOLED touchscreen protected by Gorilla Glass. The phone doesn’t support micro SD cards, so you won’t be able to transfer your additional files there. The capacity of the RAM reaches 1 GB, though, which makes it very useful for all users. Apart from the primary camera that we previously mentioned, this HTC also has a VGA one in the front, and both of them can shoot great videos. The battery is a strong, long-lasting one, but it cannot be removed when doing the warm reset. Despite the fact that it is such a thin device, this phone is actually pretty rigid. Its metal base and very small plastic parts make sure that it is close to impossible to break its cover when dropping it. Although it is very resistant from a physical point of view, the same as other similar models, this one can be pretty sensitive from a software point of view. That’s not to say that its OS is not a very impressive one, but it does require careful attention when handling it. In case you started experiencing a few software issues and you don’t know what you did wrong, here are a few ideas of what you could do. First of all, try to make sure that there’s not too much data saved on the internal memory. If its capacity is of 16 GB and you loaded it up to 15.50 GB, you may want to remove some of the unnecessary files. Apart from that, you should try to avoid saving music or pictures from the internet directly on your mobile phone. Viruses can be easily transferred this way, and it is best to stay away from them. Open the Notifications panel and click on Settings. Go to Backup & Reset, and then tap Reset Phone. Read the warning that will pop up and click Ok.
With the phone turned off, press and hold Volume Down and Power. Wait for the 3 Android images to appear, and then release the keys. Use Volume – to select Factory Reset and press Power to reboot.